Caritas Diocese of Salford is pleased to present a new initiative for refugees and asylum seekers across the Catholic Diocese of Salford, called Refugee Dine With Me. The project quite simply encourages and assists ordinary people to invite a local refugee family for a meal. The idea came from parishioners in Our Lady of the Valley Parish in the Ribble Valley, who had been touched by the plight of refugees and were inspired to act by Pope Francis’s campaign for a humane response to the crisis. “As individuals we can do so little, but we can at least make people who have been through so much feel welcome to our country, and what better way to do this than invite them to our homes for a meal,” said Kathryn Clay, one of the instigators. Working with Revive UK, a Manchester-based charity that supports refugees and asylum seekers, they set up a pilot in the Clitheroe area of Lancashire. 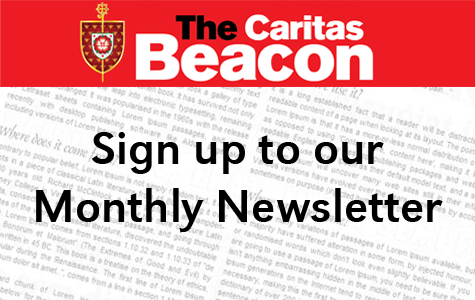 Now, with the backing of Caritas and the support of Bishop John Arnold, a Toolkit has been developed to show how it can be done. 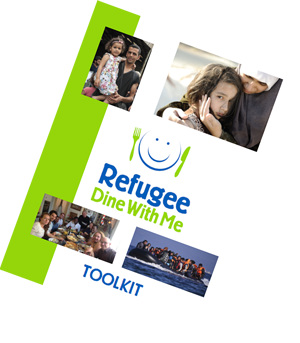 For parishes and refugee support organisations interested in setting up their own Refugee Dine With Me event, please download The ‘Toolkit at the links below, for information and tips on how to go about it, and answers to any concerns people may have.